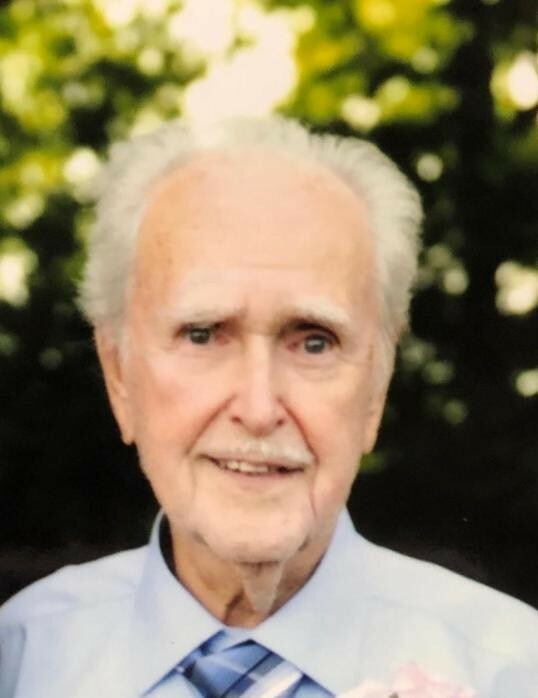 Hermann Wolfrum, a man of character, strength, honor and generosity departed this world for heaven at the age of 95, having accepted Jesus as his savior at the age of 80 after 50 years of prayer by his wife, Christine, who preceded him in 2007. He was born May 14, 1923 to Ferdinand and Maria (Loenicker) Wolfrum in Cincinnati, OH. On September 3, 1949 he married Christine (O’Dell). Following his service in the Navy Hermann was employed by Hamilton Caster as a purchasing agent. Hermann is survived by his daughter; Patricia (Clifford) Kessen sons; Garry (Catherine) Wolfrum, and Marc (Lisa) Wolfrum nine grandchildren; seventeen great grandchildren; two great great grandchildren; and special friend Donna Fields who lovingly cared for him for over 8 years. He is preceded in death by his parents, loving wife and sisters; Wilhelmina Berens and Julia Wolfrum. The family would like to thank the staff at Doverwood for their care and support for the past 3 years and Hospice of Southwestern Ohio. Visitation will be Friday, April 12th from 10:00 a.m. until the time of service with Pastor Tim White officiating at 11: 00 at Avance Funeral Home and Crematory 4976 Winton Rd., Fairfield, OH 45014. Burial to follow with full military honors at Oak Hill Cemetery 11200 Princeton Pike, Cincinnati, OH 45246. The family requests that memorial gifts be made to Hospice of Southwest Ohio 7625 Camargo Rd, Cincinnati, OH 45243. Condolences may be offered at avancefuneralhome.com.